Just finished up this Surly build. Ogre is the new 29’er do anything and everything frame. This bike is starting as a singlespeed, a great mix of parts make for a super fun ride. There are an amazing amount of places to bolt things to this frame, and them big tires roll like kids down a hill. 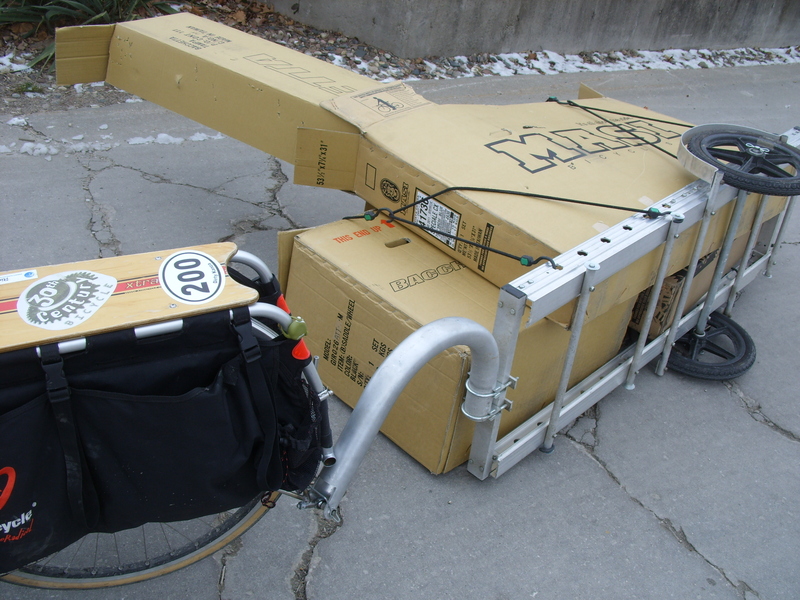 We love the Xtracycle! 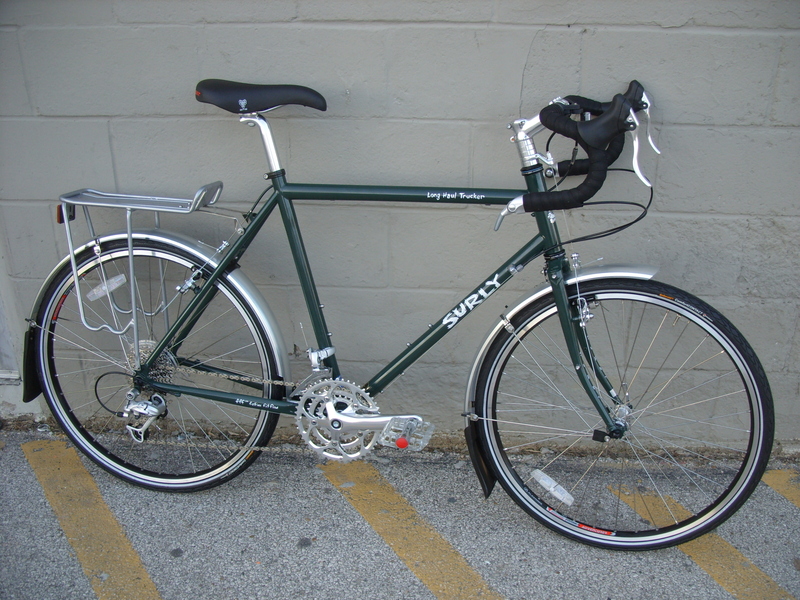 Cody has a Surly Big Dummy, and Steve a FreeRadical kit on his MASI commuter. It is truly an amazing innovation, the longtail bicycle, allowing you to do more with your bike than you ever thought you could. Or at least as much as you imagined you might, if you are the imaginative type. Of course it can carry books, recycling, kids, cats, odds, ends, lumber, and vices. As well as vises! This week Steve hauled 4 empty 6 packs of beer to the Coop to return them for the deposit. This got him enough money to get a coffee refill in his commuter mug, and last night he loaded up three kids bikes to ride over and donate to the Bike Library. 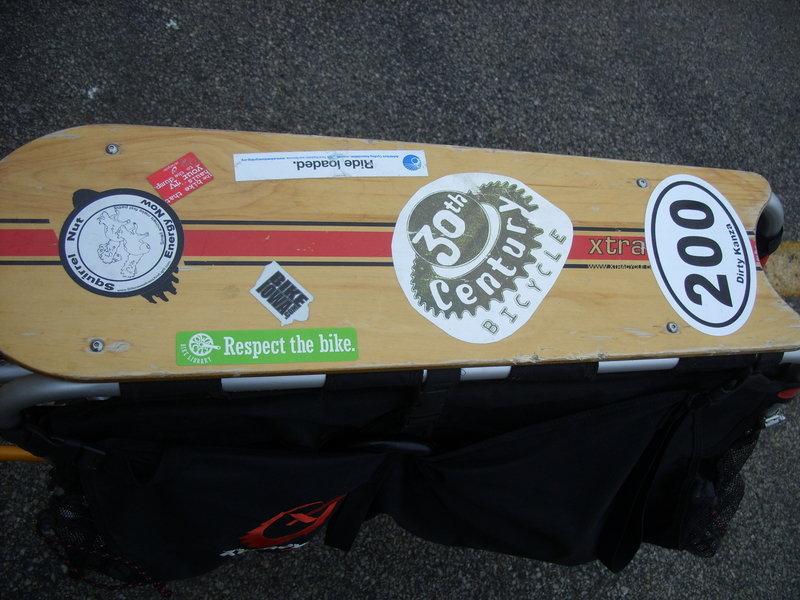 This short longtail bike ride gained us a bit more floor space here at the shop, and a new sticker for the Xtracycle snapdeck. 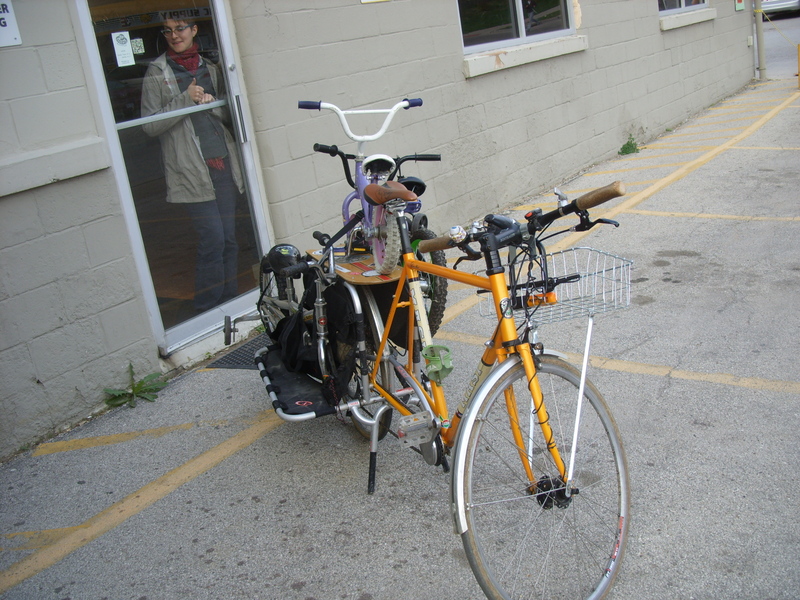 Respect the bike, and when you are ready to do more with yours, consider an Xtracycle! 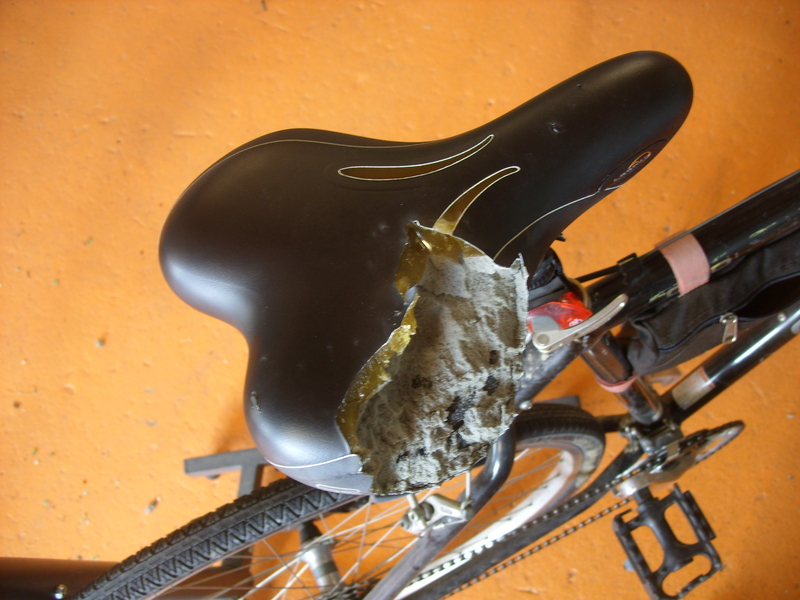 Anyone who has ever ridden a bike outside of town has likely drawn the interest of a dog. Maybe even been chased! So just why do dogs like cyclists so much? The tasty bike seats of course. Chewy, and delicious! 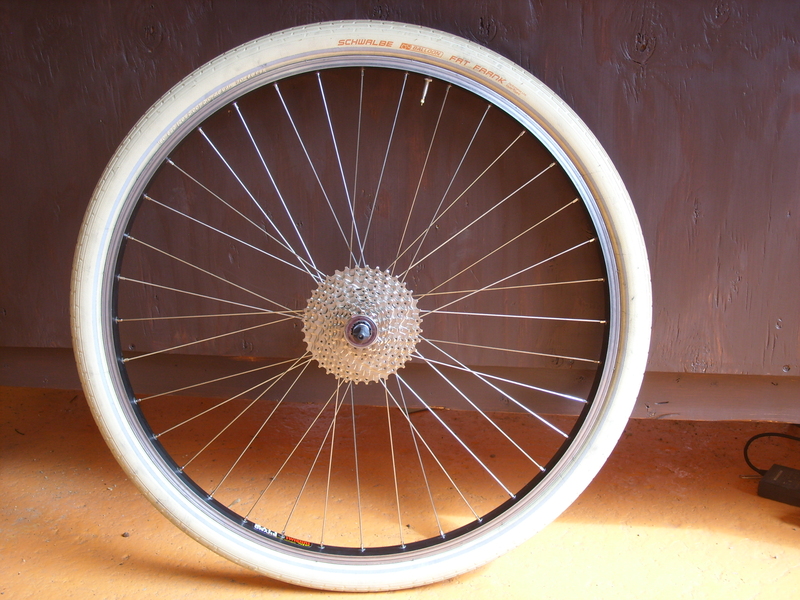 We built this wheel. 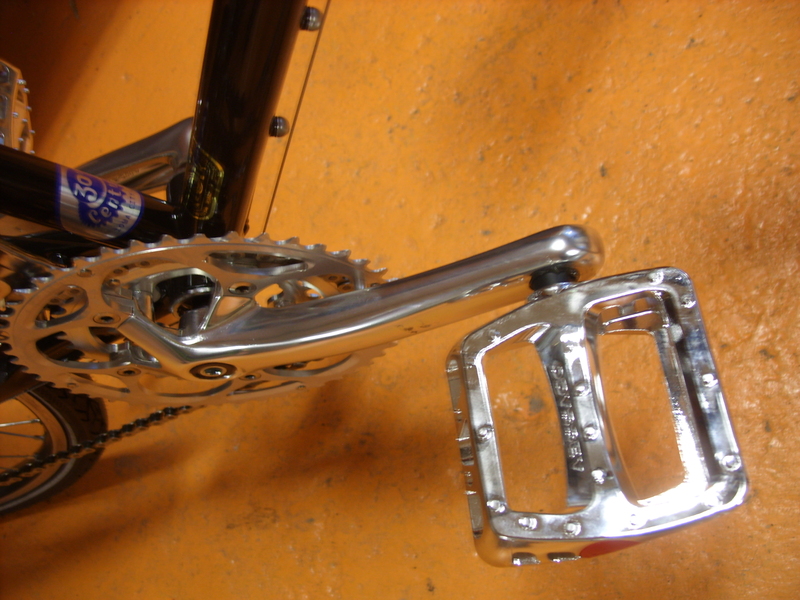 XT this, Rhyno Lite that, crossed DT spokes, tensioned, relieved, blah-blah-blah. But look at that tire – that is an awesome tire! For those of you who don’t know yet, or forgot, or never knew, our shop expanded. As such, our old smudged up and cramped little space has been vacant for a bit. Framebuilder most extraordinary, sculptor par excellent Dana Haugaard transformed the grunge and grime into clean and shine. Mirrors, too. Come check it out, you’ll be glad you did! Which of these bike boxes are not like the others? 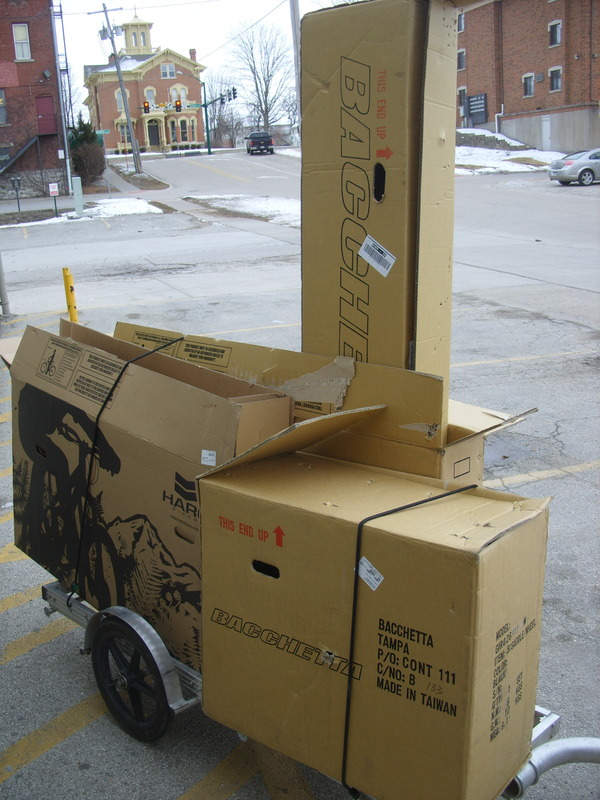 People can argue and debate the aero benefits and features of different bike designs all they like, but put the boxes they come in on a bike trailer and take them to recycle in a stiff crosswind and the pros and cons are moot points. Like a gold tooth for your bike, chrome Odyssey Twisted PC’s. Looking really good alongside all the shiny parts on a Surly LHT in black. 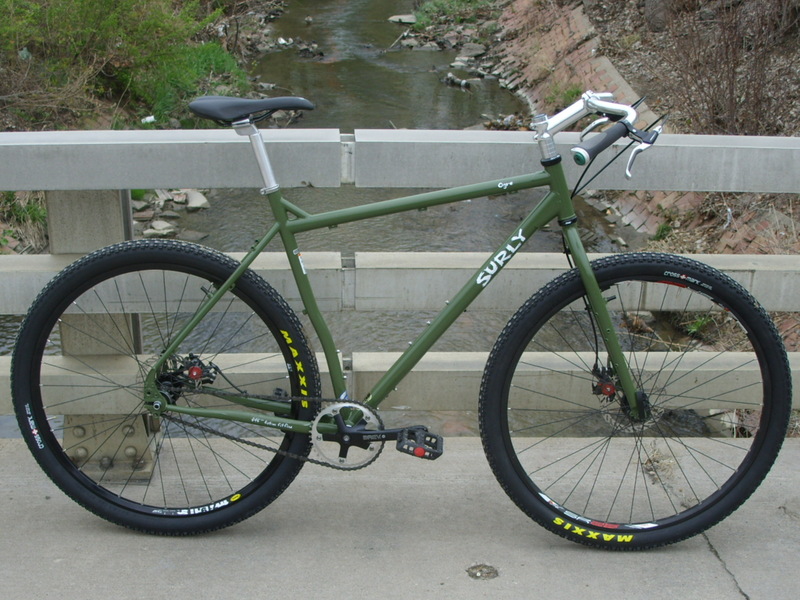 The new Surly green has classic good looks. Planet Bike Cascadia fenders and a silver Civia rack work really well with clear pedals on this beautiful bike.